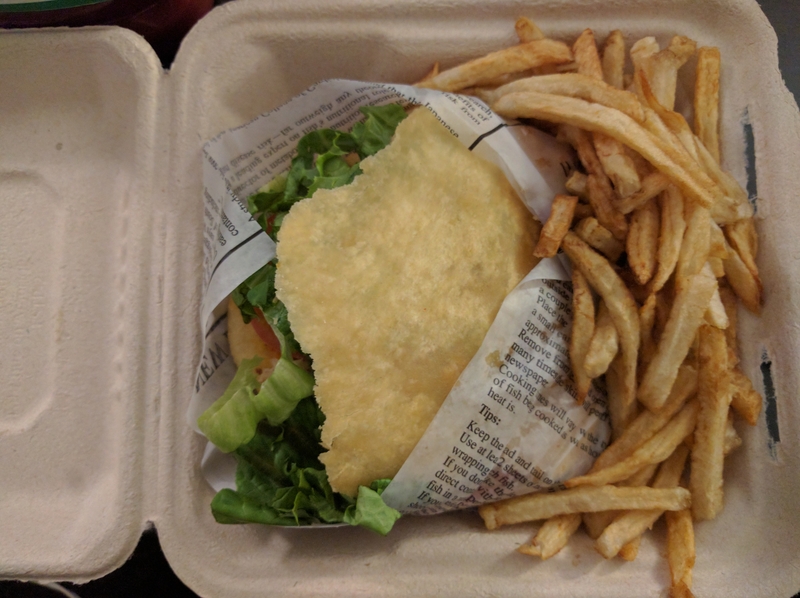 Got this sandwich from a pop-up across the street (inside Midpoint) called Le Ti Colibri. They used to have a store in Kensington Market but closed down (although I’d never been). I’m glad I tried it out because it was delicious. 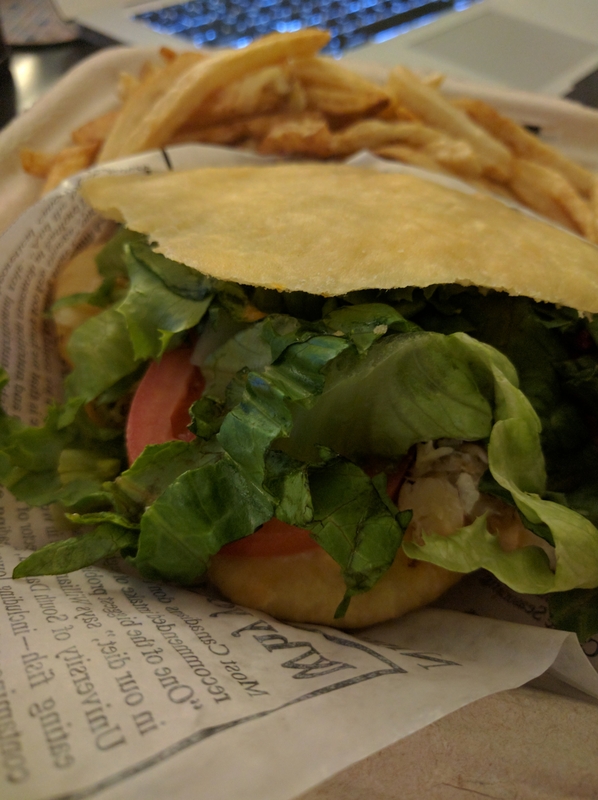 I’m not usually a fan of codfish (the salty taste turns me off) but the combination of lettuce, tomato, avocado, and the spicy sauce with the fried bread made it great. The side of fries were also perfect (and smelled amazing).